Boil the potatoes whole and peel them while still hot. Beat the roe in a food processor with a little olive oil and gradually add the potatoes and remaining olive oil. Season with lemon juice as necessary. 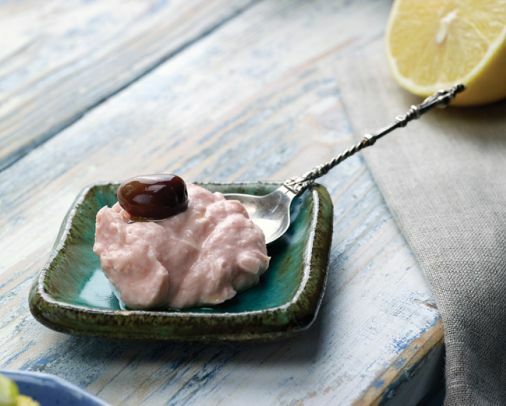 Serve the fish roe dip as a cold ‘meze’ with a little fresh olive oil and chopped onion.